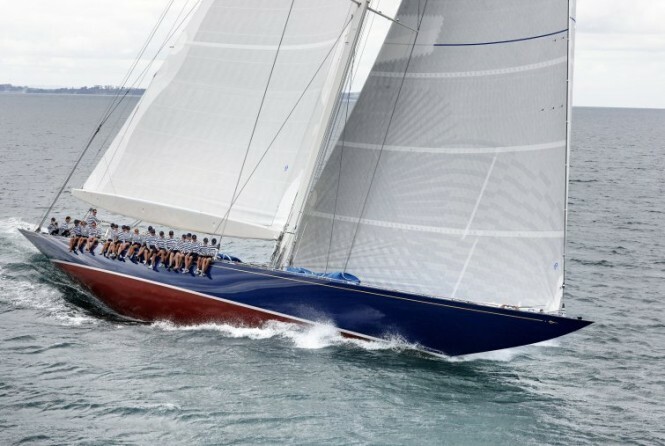 New Zealand marine companies have again taken out prestigious international awards with Auckland superyacht builders Alloy Yachts and Yachting Developments winning major trophies at the 2013 World Superyacht Awards at the Boat International Media Group-run ceremony in Instanbul on 4 May. Peter Busfield, CEO of NZ Marine, says: “Continued success in the major international awards demonstrates that New Zealand superyacht builders are at the forefront of the global industry. “New Zealand boat builders such as Alloy Yachts and Yachting Developments have an on-going ability to produce workmanship that is recognised by their international peers as the ultimate standard of achievement. “Their success highlights the strength of our marine industry as a whole and helps ensure that local companies remain in a strong position to secure future orders. It also indicates the strength of the training and depth of experience and talent of personnel throughout New Zealand’s marine industry. Loretta Anne, a 47-metre raised pilothouse motor yacht, was launched by Henderson, Auckland-based Alloy Yachts in May 2012 and won her finalists’ category for ‘raised pilothouse semi-displacement or planing motor yachts’ as well as the top award for motor yachts against 31 other finalists to be named ‘motor yacht of the year’. Designed by UK’s Dubois Naval Architects with an interior by Donald Starkey Design, Loretta Anne is the third yacht that Alloy Yachts has built for a Northern Hemisphere-based owner. With a gross tonnage of 444, she’s capable of cruising at 14 knots and has an estimated range of 3,500 nm. She carries a range of components manufactured by other New Zealand marine industry specialists such as anchors from Manson Anchors and windlasses and mooring capstans from Maxwell. She also carries two custom-built 6.2m tenders built by Lloyd Stevenson Boat Builders in East Auckland and her carbon fibre side boarding ladder was made by another Auckland firm C-Quip. The winning refit of J Class luxury yacht 39.6 m Endeavour was an 18 month project for Hobsonville, Auckland-based Yachting Developments. Yachting Developments’ managing director Ian Cook says the extensive refit included the replacement of the complete weather deck, new deck equipment, relocation of steel deck framing, reconfiguration of the accommodation forward and new interior. “Care was taken throughout Endeavour’s refit to preserve as much of the vessel as practical, yet still enhance performance and improve functionality,” says Cook. “Numerous suppliers were involved in the replacement of the main engine, electrical system, electronics, air conditioning, hydraulics bow thruster and winches. A new carbon fibre mast was built by Southern Spars’ New Zealand custom projects facility and the new interior was built in-house by Yachting Developments tradesmen. Cook was also delighted to that the Yachting Developments-built 30.49 m composite sailing catamaran Quintessential received special recognition from the World Superyacht Award judging panel. Busfield notes that a third New Zealand yacht builder, New Plymouth-based Fitzroy Yachts was also a finalist in this year’s World Superyacht Awards with the Dubois-designed 49.7 m Ohana. “Once again, the talents of New Zealand’s marine craftspeople see New Zealand-built superyachts rated among the world’s best,” Busfield concluded.